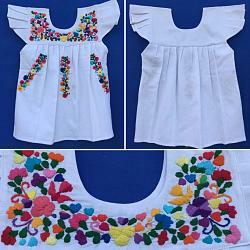 Girl Mexican Dresses - Handmade Masterpieces crafted by Mexican Indigenous Groups - Hand Embroidered Girl Dress "Maritza"
This is the cutest girl dress with hand embroidered multicolored embroidery accent. 100% Cotton. Made in a family shop. <**Sizes: 2, 4, 6, 8 **>> <**Flat Measurements**>> ☆ Size 1 Breast 11 in ~ Shoulders 9.2 in ~ Length 16 in ☆ Size 2 Breast 12 in ~ Shoulders 10 in ~ Length 18 in ☆ Size 4 Breast 13 1/2 in ~ Shoulders 11 in ~ Length 22 in ☆ Size 6 Breast 14 in ~ Shoulders 12 in ~ Length 26 in ☆ Size 8 Breast 16 1/2 in ~ Shoulders 13 in ~ Length 31 in ♤IVORY COLOR. SIZES: 6 for now ♢Custom Orders are welcome. ♢FREE SHIPPING WITH IN THE USA ♡MADE IN: Oaxaca, México. ♧Artisans: Q. Family. 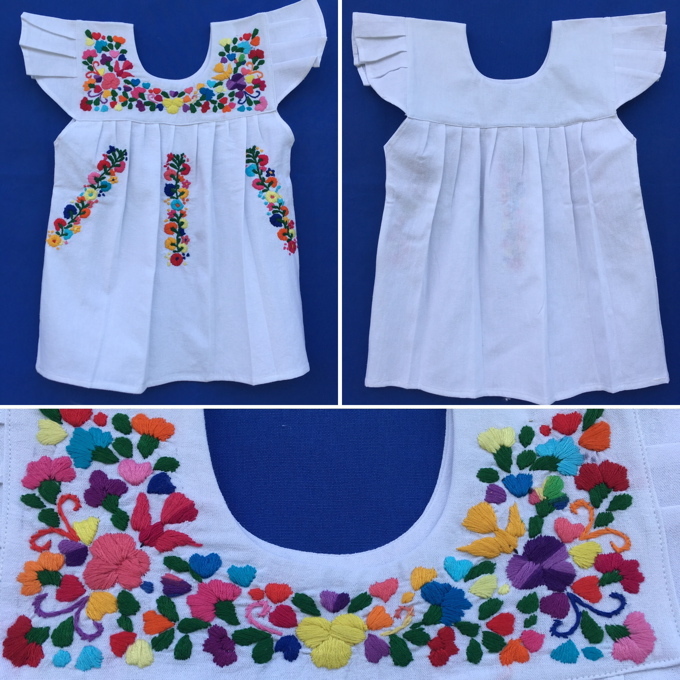 Currently viewing:Girl Mexican Dresses - Handmade Masterpieces crafted by Mexican Indigenous Groups - Hand Embroidered Girl Dress "Maritza"